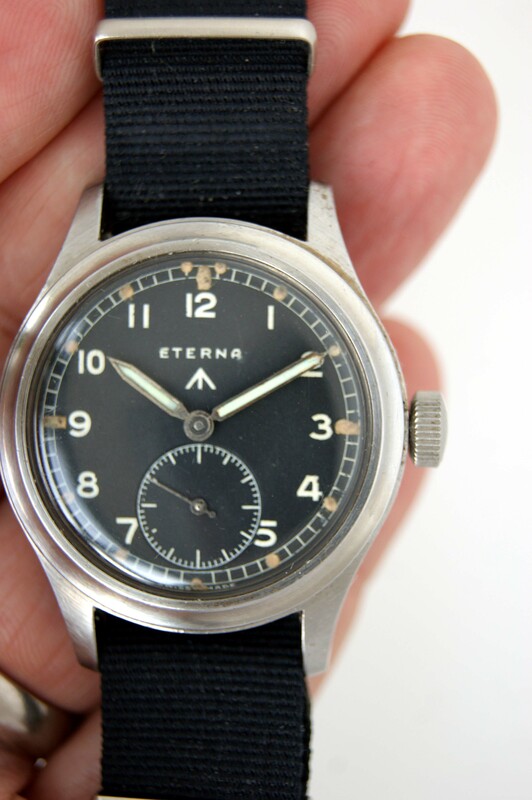 This is probably the second rarest (after the Grana) of the so-called “Dirty Dozen” WW2 military watches with only an estimated 5,000 produced during World War 2. 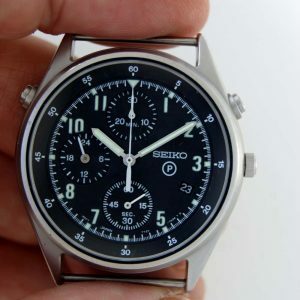 The British Ministry of Defence needed watches to issue to army personnel with very strict specifications, twelve watch manufacturers were eventually accepted, resulting in the nickname “The Dirty Dozen”. 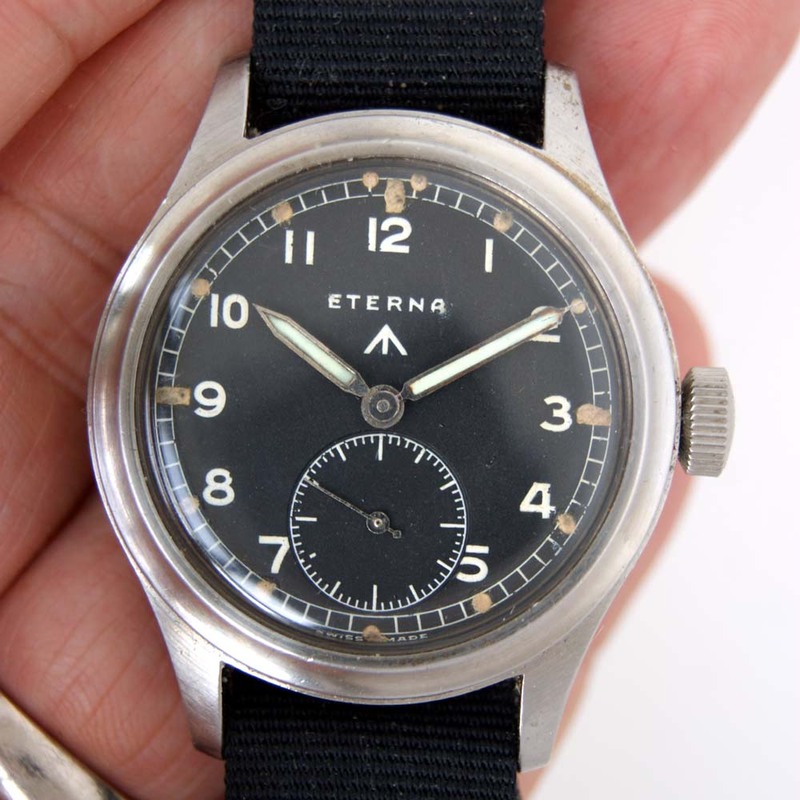 They were: Buren, Cyma, Eterna, Grana, Jaeger Le-Coultre, Lemania, Longines, IWC, Omega, Record, Timor and Vertex. 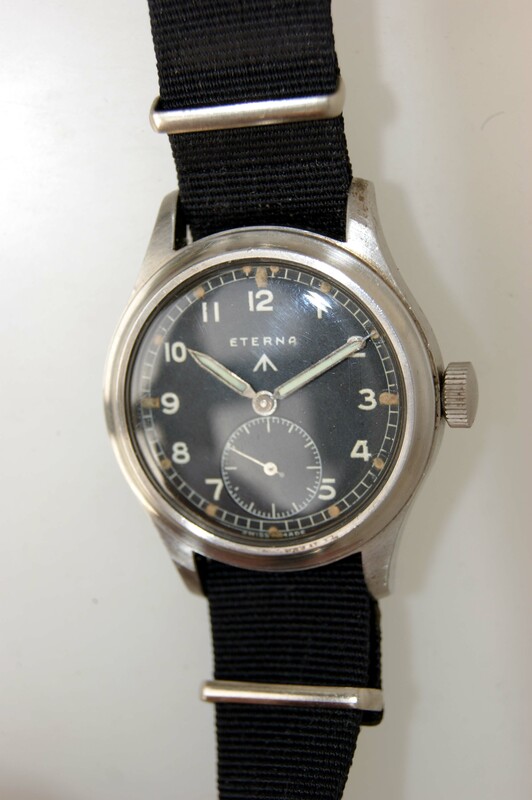 These were all mostly delivered in 1943 and accompanied by a pigskin or canvas strap. 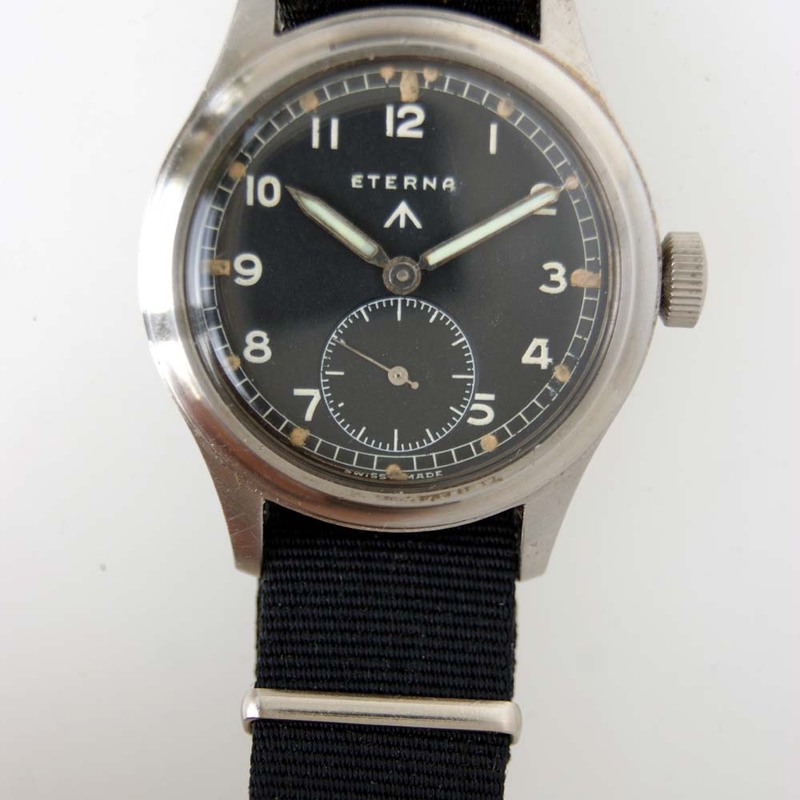 5000 Eternas were produced, one of the smallest runs. 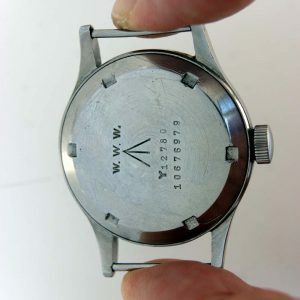 More formally, these watches were known as W.W.Ws, a code established by the British Army to distinguish these from other military equipment and it simply stood for Wrist. 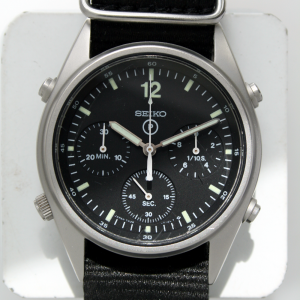 Watch .Waterproof. 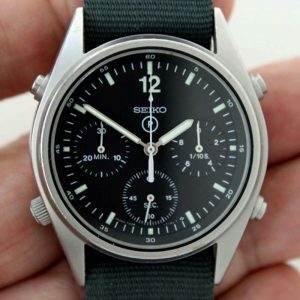 The MoD specs were exactly what you would expect a military watch to be – waterproof, luminous, regulated to chronometer level and composed of a case that was rugged. 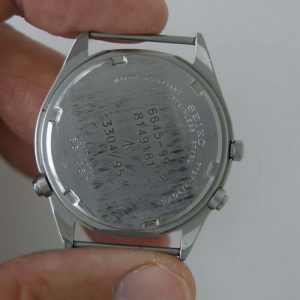 Two serial numbers were required, one being the manufacturers number, and the other (with the letter) being the military store number. 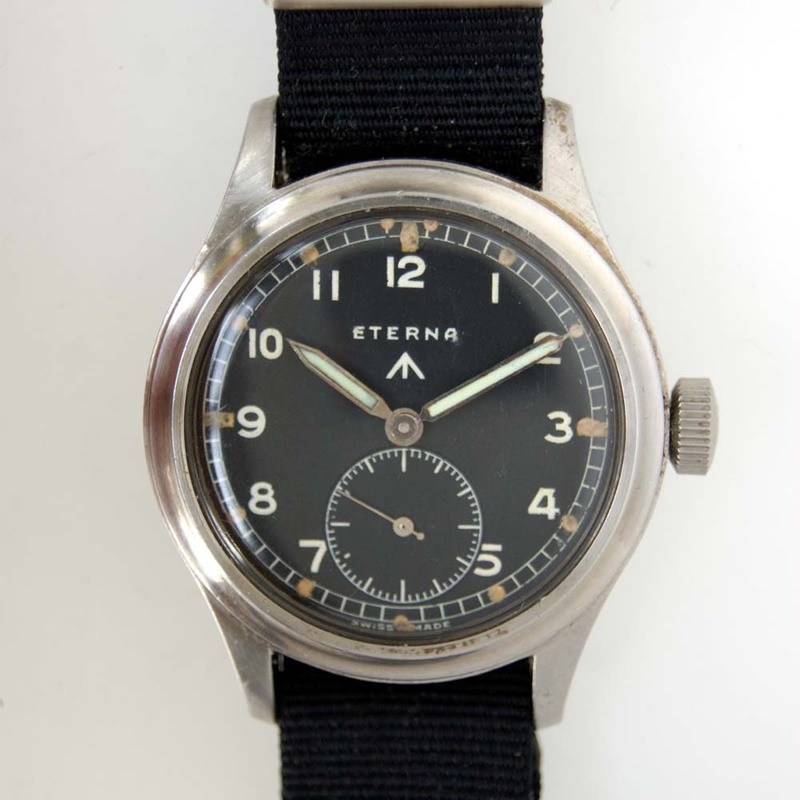 On top of that, the dial needed to be black, with Arabic numerals and sub seconds in order to maximise legibility. 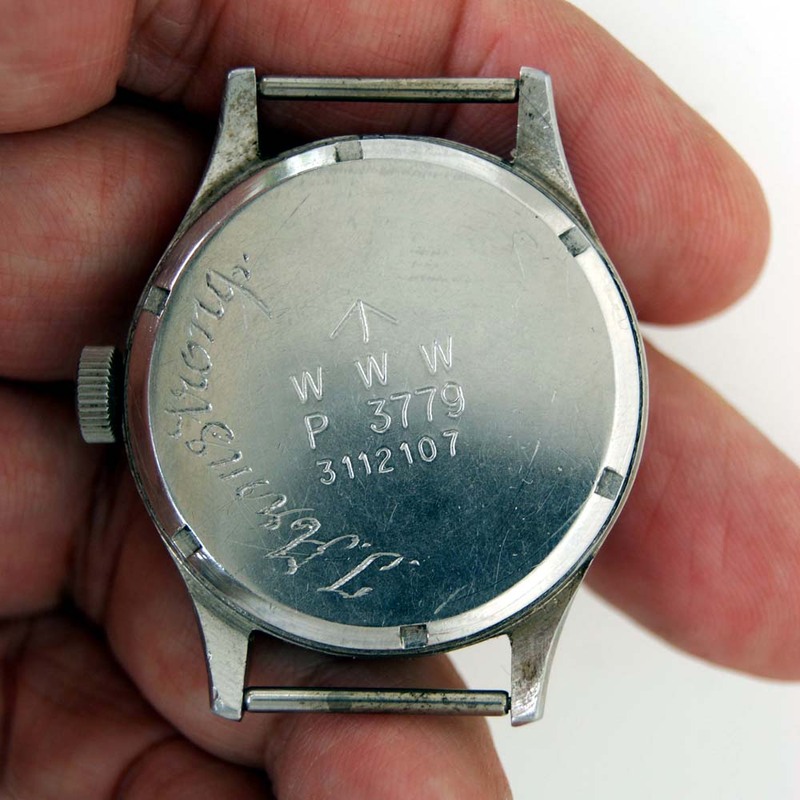 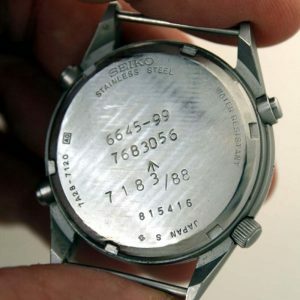 The case-back had to include the W.W.W designation and a broad arrow marking, with the dial only displaying the latter. 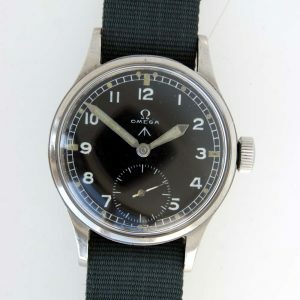 The broad arrow frequently seen on military dials and case backs is the traditional marking for British Army property.